Professor Bruno Chaudret was visiting Warsaw between June 12 and 14 for the invitation of Prof. Janusz Lewiński. He was visiting Institute of Physical Chemistry Polish Academy of Sciences thanks to the support of the EU 7th Framework Project “Noblesse”. He gave an open lecture in the lecture hall of IPC PAS (Kasprzaka 44/52, Warsaw, visited the laboratories and took part in several discussions. 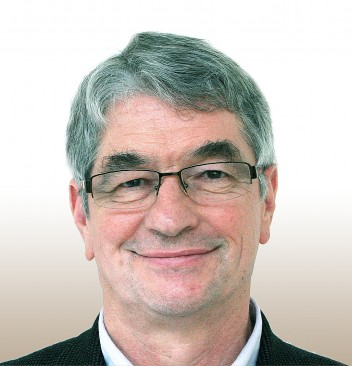 Bruno Chaudret is the Senior Director of CNRS (National Centre for Scientific Research), Director of the Laboratoire de Physique et Chimie des Nano-objets CNRS in Toulouse and a member of the French Academy of Sciences. He received his Ph.D. from Imperial College London in 1977 with Sir Geoffrey Wilkinson (Nobel Prize 1973) and the degree of a “Docteur dès Sciences” at the University of Toulouse in 1979.